The Maryland Department of Planning, in consultation with DNR, MDE and MDA, (Chapter 628, Laws of Maryland 2018) is required to establish a plan to adapt to saltwater intrusion by December 15, 2019, and to update that plan at least once every five years thereafter. 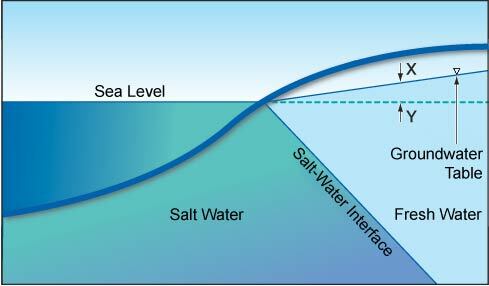 Since a significant amount of Maryland is adjacent to brackish or salty waters including the Chesapeake Bay, Coastal Bays, Atlantic Ocean, and their associated tidal tributaries, and since climate change impacts such as sea-level rise and worsening storms are affecting the movement of these waters, Maryland already is experiencing saltwater intrusion impacts within coastal farmland and forests, wetlands, and in some water supplies. To identify the scope for the project, and how this issue is affecting Maryland, Planning established a state agency workgroup, interviewed subject matter experts, and completed extensive research. In 2019, Planning will coordinate a review process with subject matter experts and stakeholders of the draft plan, focused on identifying five-year research priorities and promising applicable adaptation measures to explore for Maryland.